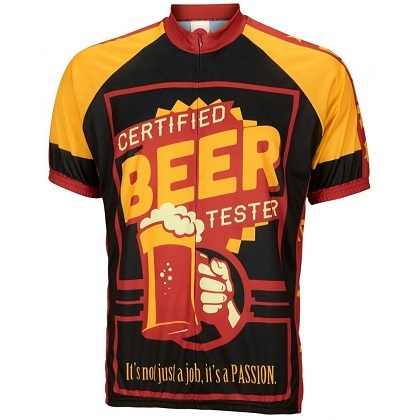 Beer Tester Cycling Jersey. 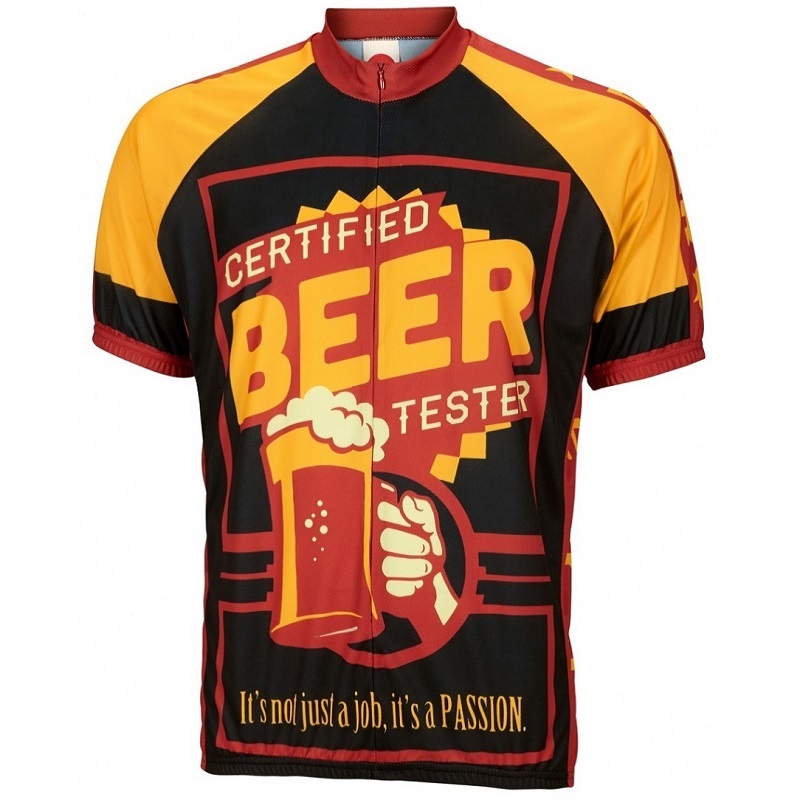 100% DrySport Polyester Wicking Fabric. 19? Hidden Zipper. High-tech Heat Sublimation Printing. Elastic Waist and Cuffs. Cycling Cut. Three Back Pockets.